Islam in Transition. The past few centuries, we have witnessed a transition in discourse concerning political, social, economic, and religious thought in Islamic society. The embedded digital presentation showcases that transition through comparing and contrasting four other thinkers with Bennabi. Malek (Malik) Bennabi played a considerable role in the development of Islamic political, cultural, and religious thought and discourse during the 20th century, especially in North Africa. Born in Algeria, Bennabi began to witness the effects of colonization on Muslim civilization. He found them to be disconcerting and worth not only a closer look, but a movement for reform and revival. He wrote on the necessity of a cultural renaissance and on a “mutual reconciliation of civilizations (Naylor, Phillip)”. He proved to be one of the greatest Islamic political thinkers of recent history, sharing similarities with Abduh, Shariati, and many others. His influence on Algerian Islamic society can only be examined in the broader context of other similar thinkers and writers. Learning about his early life, however, is the first step to understanding this enigmatic philosopher’s perspective on civilization, society, and politics. Bennabi was born in Constantine, Algeria in 1905. 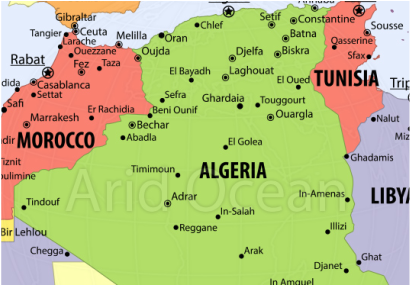 He spent his childhood there and in Tebessa (near the Tunisian border). He graduated from public school in 1925 and then went to France to study engineering. He lived there during the 30s and 40s before returning to Algeria. He also lived in Egypt from the mid 1950s until the early 1960s, and thus had backgrounds in both French and Arab educations. He wrote multiple autobiographies detailing his childhood and education in both France and Egypt. He also studied humanities, social sciences, and religion. These studies proved to be formative and influential in the shaping of his political, religious, and sociological thought. What motivated Bennabi to write on the decay of Muslim civilization? Bennabi was influenced by many different thinkers, most notably, Ibn Khaldūn, ʿAbd al-Ḥāmid Ben Bādīs, Friedrich Nietzsche, and Arnold Toynbee. He also heavily criticized Orientalism, while acknowledging its effects and influence. He seemed to be more interested in the decline of Muslim civilization and how a renaissance could be achieved, than pre- and post-colonial Algeria. His first work, Le Phénomène coranique: Essai d’une théorie sur le Coran, heavily criticized Orientalism and served as a vehicle for educating Muslims as well as non-Muslims. In this book, he performs an exegesis on the Qur’an that depicts a “reconciliation of reason and reform (oxfordislamicstudies.com)”. He also published a novel entitled, “ Lebbeik: Pèlerinage de pauvres”, that showcases redemption for Islamic society. In Discours sur les conditions de la Renaissance algérienne he focuses on Algerian society and how there needed to be a spiritual and secular revival after years of “colonizablity”. In Vocation de l’Islam, he discusses how the decline of Muslim civilization began with moral and intellectual idleness, beginning in the 14th century. While living in Egypt during the War for Liberation, he both supported and criticized the Front de Libération Nationale (FLN). He also supported the emerging third World in his book, L’Afro-Asiatisme: conclusions sur le Conférence de Bandoeng. He mostly supported the idea of an Islamic commonwealth, a notion that proved to be especially controversial when he developed and founded the al-Qiyam discussion group in 1964. What prompted Bennabi to found the al-Qiyam discussion group? Bennabi founded the al-Qiyam discussion group in 1964 after becoming Director of Higher Studies at the University of Algiers. His views on Islamic cultural, social, economic, and political revival led him to co-found this particular group. This group, however, only came as a result of Bennabi’s careful study of the Qur’an, Muslim civilization, history, and religions in general. His research of the history of Islamic cultural development led him to an understanding that there had (according to his writings, ever since the 14th century) a gradual decline of civilization in intellectual, economic, social, and political realms in the Islamic world. He attributed this gradual decline to the changing synergy of man (insān), soil (turāb), and time (zamān). He took a psychological approach to understanding the history of Muslim civilization. Psychology was only becoming a more popular field of study and Bennabi contextualized this approach to history in an effort to provide a foundation for developing a new Muslim civilization (or perhaps a return to the pre-colonial stage). He built much of his thought around the idea of “colonizablity”, which is the ability of a civilization to be colonized and dominated. He encouraged revival, but to the eventual demise of the al-Qiyam discussion group. It was disbanded by the government in 1966. Though he died in 1973, his influence lived on beyond his years and influenced the formation of various groups and societies, including the Islamic Salvation Front in 1989. How should one observe contemporary Islamic movements considering Bennabi and his influence? One must observe contemporary Islamic political, cultural, and social movements in light of Bennabi and his works because he profoundly influenced what many know today as the modern “Islamism” movement. This term, “Islamism”, holds a vast range of meaning and connotation. It is a term favored by some and rejected by others. Indeed, with a strong contextual understanding of Bennabi and his writings, one can come to the conclusion that he definitely should be included in one of the greatest minds of Islamic intellectual history. Bariun, Fawzia. “Malik Bennabi and the Intellectual Problems of the Muslim Ummah.”American Journal of Islamic Social Sciences9.3 (Fall 1992): 325–337. Drawn from her dissertation, “Malik Bennabiʾs Life and Theory of Civilization” (University of Michigan, 1988), a concise study of Bennabiʾs principal ideas regarding the development and decline of Muslim civilization. Christelow, Alan. “An Islamist Humanist in the 20th Century: Malik Bennabi.”Maghreb Review17.1–2 (1991): 69–83. An excellent overview of Bennabi's life and work. Walsh, Sebastian J.“Killing Post-Almohad Man: Malek Bennabi, Algerian Islamism and the Search for a Liberal Governance.”Journal of North African Studies12.2 (June 2007): 203–222. Reviews Bennabi's ideas and examines their considerable influence on the development of Algerian Islamism and the FIS.